The wonderful Tall Stories (Gruffalo, Room on the Broom) is back with its new version of the TV programme. Pleasance Courtyard, Pleasance, 556 6550, 4–18 Aug (not 6), 11.30am, £8.50 (£7.50). Preview 3 Aug, £5. Theatre of Widdershins made its Edinburgh debut with this show in 2006, which features remarkable sets and puppetry. Scottish Storytelling Centre, The Netherbow, High Street, 0131 556 9579, 8–28 Aug (not 7), 1pm, £8.50 (£6.50). Fringe regulars Scamp Theatre make a welcome return with this lively adaptation of Julia Donaldson's book. Udderbelly's Pasture, Bristo Square, 0844 545 8252, 6–29 Aug (not 15), 11.15am, £10–£11 (£9–£10). Previews 4 & 5 Aug, £6. 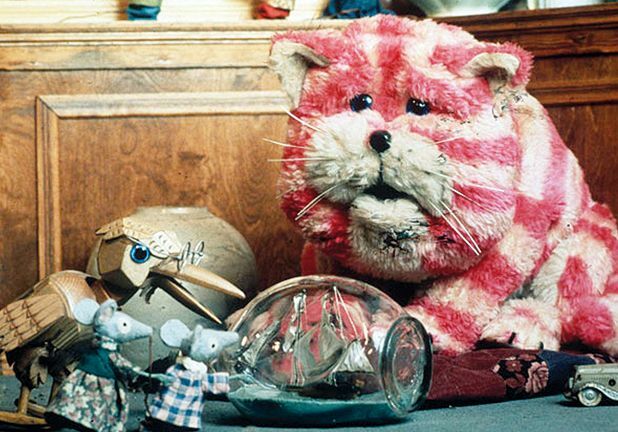 Soho Theatre and Birmingham Stage Company present a stage production of Bagpuss, based on the 1970s TV series. Assembly George Square, 0131 623 3030, 6–28 Aug (not 15), 12pm, £12–£14 (£8). Previews 3–5 Aug, £8. Lu Kemp's witty and poignant play based on the true story of a Japanese girl who took up origami to save her best friend. Assembly George Square, 0131 623 3030, 6–27 Aug (not 9, 16, 23), 1.10pm, £10 (£8). Previews 4 & 5 Aug, £5 (£4). Lyngo Theatre's interactive show finds Mr White and Mr Green doing battle over who's allowed inside the house. Pleasance Courtyard, Pleasance, 0131 556 6550, 6–29 Aug, 11.20am, £8 (£6). Previews 3–5 Aug, £5. A new crop of stories and songs based on Lynley Dodd's popular picture books. Assembly George Square, 0131 623 3030, 6–20 Aug, 10.30am, £9 (£7). Previews 3–5 Aug, £5. Set in a post room filled with lost parcels and unclaimed letters, this Australian show is both funny and touching. Gilded Balloon Teviot, Teviot Row House, 0131 622 6552, 6–21 Aug (not 8, 15), 10.45am, £8–£9 (£7–£8). Previews 3–5 Aug, £5. Climb inside this unique installation for five minutes of performance, puppetry and projection adapting the popular book by Oliver Jeffers. Pleasance Courtyard, Pleasance, 0131 556 6550, 6–29 Aug (not 16), every 20 minutes from 10.20am–2.14pm. Previews 3–5 Aug, £3. The King's Got Donkey's Ears!